Our passion and expertise is helping leaders use their passion and expertise. Theresa has a tremendously empathetic way of helping new and established leaders gain powerful insights into themselves and their habits. These insights help leaders dramatically shift their worldviews and develop strong, long-term relationships. Theresa provides organizational consulting, professional development, and executive coaching to a wide variety of industries with a primary focus on individual leadership skills and performance. She is a certified Enneagram and EQ-i 2.0 facilitator and holds a BS in Business Administration from Drexel University and a MA in Industrial/Organizational Psychology from West Chester University. Dr. Swody has been a driving force helping leaders across industries realize their potential and reach higher levels of performance for over 15 years. She is ferocious in pursuing insights, unassuming in her approach, and instantly engaging. Clients describe her as well‐versed in the sciences of leadership and psychology as well as warm and understanding. As Director of Assessment, Cathleen designs and delivers individual and team assessments, workshops, and high‐potential programs in addition to executive coaching. 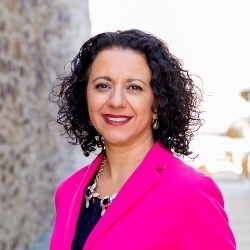 She earned her Ph.D. and Master’s in Industrial/Organizational Psychology from the University of Connecticut and her Bachelor's from the University of Delaware. Sherry is a certified and accredited professional coach and certified EQ-i 2.0 facilitator. She makes meaningful connections with her coaching clients by helping them come up with their own recipe for desired behavior change using resilience, purpose, and self-compassion. Sherry has a Ph.D. in Pharmaceutics with 12 years of experience in the corporate world first as a scientist, and then as department head for L’Oréal USA (R&D). She has worked with leaders and emerging leaders in the technical and scientific space to align their goals with the vision and mission of the organization to obtain concrete business results. Beverly is a certified, experienced coach and facilitator who excels at connecting and creating the trust needed to get leaders and teams unstuck and to inspire transformations. She brings a unique combination of competence, caring, tenacity, and flexibility, whether one-on-one or in front of a large group. Her expertise in working with high potentials and mid-level to senior leaders goes hand-in-hand with her background as a financial services leader. Beverly holds a BS in Public Affairs from Lincoln University and is a certified EQ-i 2.0 facilitator.